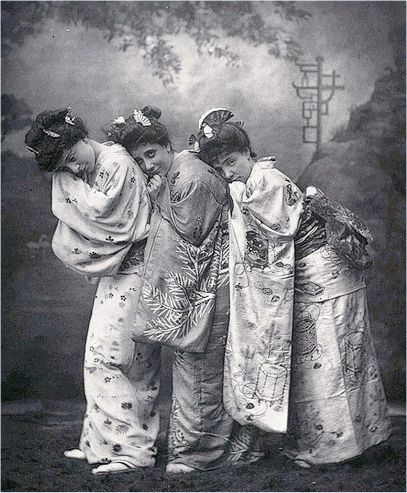 Well, he selected three for me to have a crack at, and one of them was the lady whom we know as Sibyl or Sybil Grey and whose memory, unfairly, lives on solely for having created the part of Peep Bo, to the Yum Yum of Leonora Braham and the Pitti Sing of Jessie Bond in The Mikado. Well, I’d never looked into Sibyl or Sybil before, and wasn’t aware that there was any mystery about who she was, although it was very ev-i-dent, from the variation in the spelling of her name, that she was no Sibyl or Sybil. So, who was she? 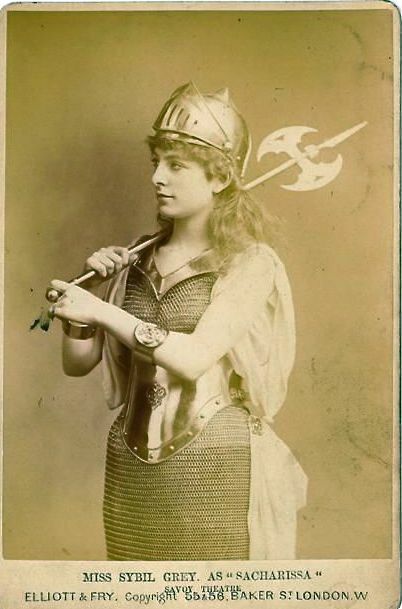 ‘Sybil Grey was a chorister and understudy during the original London production of The Pirates of Penzance at the Opera Comique in 1880, going on in the role of Kate for a short time in July. During the run of Patience at the Opera Comique her duties appear to be limited to the chorus, though she may well have understudied the part of Lady Saphir. Shortly after Patience was transferred to the Savoy (November 1881) she was given the non-singing role of Jane in the Desprez & Faning curtain raiser Mock Turtles. But there was much more, and much more of consequence to come. Miss Grey had another decade and more to spend on the stage, and in more than one hit show. Well, I could give chapter and verse, but suffice it to say that her years with Carte done (she would return for some more Peep Boing, and to play Lady Amathis in Gilbert’s Broken Hearts and Leila in his Wicked World, but that was all), Miss Grey moved in the right direction: to the new hero of the London musical stage, George Edwardes. After a short tour with May Holt’s company, she was hired for the Gaiety Theatre, to play in the richly-cast burlesque of Frankenstein. In the role of Vanilla she was but one of four decorative ladies – the others were, no less, Jenny Rogers, Jenny M’Nulty and manager’s sister-in-law Emma Gwynne – who led the chorus of ‘bandits, villagers, soldiers and shepherdesses’. Frankensteinwas not the hit counted upon and Miss Esmeraldawas issued as a matinee item. Once again, Sybil featured as a gipsy of whom ‘pretty looks and an arch bearing’ were all required. When the play Lot 49was added to the bill, she also appeared in that, the part of Polly the maid. Her return to the Savoy Theatre ended, Sybil moved on to another monument of the British theatre: the Theatre Royal, Drury Lane. It was Christmas pantomime time, the show was The Babes in the Wood with Harry Payne, Dan Leno as dame, and Harriet Vernon as Robin Hood. Sybil and Maggie Duggan headed the merry men. Sybil and best-friend Rosina Brandram appeared in a musical version of Newport(‘The Song of the Looking Glass’) in a vanity production at Devonshire House, as Sybil continued on at Drury Lane (Deborah Wood in The Royal Oak ‘flitted about gracefully’, Royal Housemaid in Jack and the Beanstalk,King of Diamonds in Beauty and the Beast), but Mr Edwardes had other plans for her. He placed Sybil, as a takeover, in the successful ‘triple bill’ production which ran at Terry’s Theatre and then Shaftesbury and Toole’s, and then the Court Theatre, and she remained with the company through a run of many, many months, playing at various times the different roles in the three playlets and the title-role in Nan, the Good-For-Nothing. She also appeared in a single tryout matinee of an unsatisfactory farce, Our Doctors (24 March 1891). When the triple bill ended, she appeared as Sally in W J Hill’s old comedy vehicle, Crazedwith C P Little and Robert Nainby, as a forepiece to The Guardsman, and the press commented on ‘a clever and experienced actress who, one imagines, would do well at one of our ‘improved’ music halls’. But Sybil wasn’t going there. George Edwardes had other uses for her. He imported her into the cast of his new hit musical comedy, The Gaiety Girl,and then into a second hit London musical An Artist’s Model, where she would later take over Lottie Venne’s prominent role of Madame Amélie. The third little maid had become a veritable leading lady. And as if the racehorses and Marmion weren’t enough, Sybil now had to put up with Hilda Spong arriving at Drury Lane with her play The Duchess of Coolgardie. Miss Spong took the star role of … Sybil Grey! \But Sybil had another of her long runs coming up. 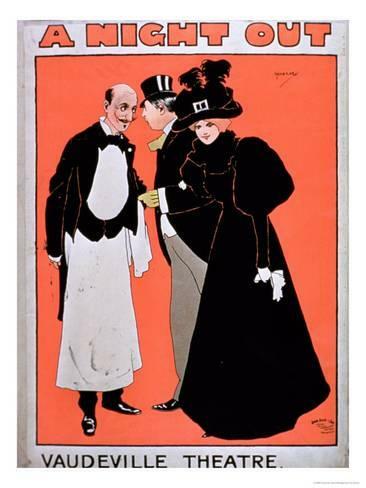 She was engaged at the Vaudeville Theatre where the English adaptation of the famous farce L’Hôtel du libre Échange(A Night Out) was being produced. Again, it seems to have been a case of understudy and/or take-over, but by August 1896 she is billed for the leading role of Mme Pinglet (originated by Fannie Ward). During the run she appeared also in a number of try-out matinees (Nurse Edith in Solomon’s Twins,The Swell Miss Fitzwell, A Ward of France) and, again, she remained with the production through the run. When Edwardes produced the comedy Jalouse (The Dovecot) at the Duke of York’s Theatre (February 1898) with Seymour Hicks and Ellis Jeffries, Sybil was cast as the scheming servant-girl Durnford through the 100 plus nights of the run. The cast also included … Miss Leonora Braham. She joined Horace Lingard’s Strand Comedy Company as Mrs Smith in another French comedy Why Smith Left Home, toured for Edwardes in A Night Out, but at the turn of the century and the arrival of the age of forty, she seems to have changed priorities. In the 1901 census, she can be seen (with Rosina) listed as 34 and ‘actress and masseuse’. She seems to have done more massaging than acting in the following years. While Rosina plunged on with her celebrated career, I see Sybil announced to play in Three Little Maids (she was not one of the little maids, however, but Miss Deare, the postmistress), and in 1907 touring for Edwardes one more time as Poo-See in See-See. 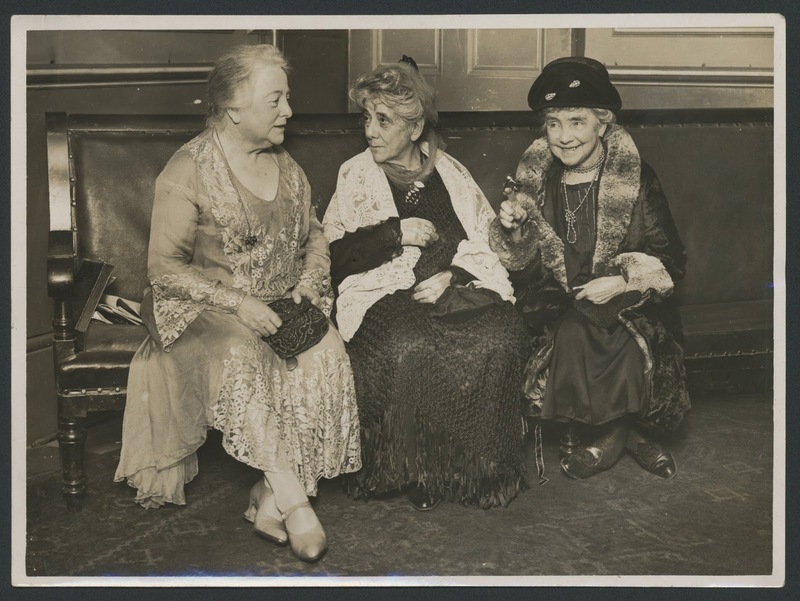 70 year-old Sybil-Sibyl appeared alongside Misses Braham (77) and Bond (77) at a Mikado reunion in 1930. That must have been unpleasant. Miss Braham (centre) died the next year. Peep-Bo seems at that stage to have become a rather big little maid. Ellen Sophia Taylor lived latterly in Lordship Lane, Dulwich. She died at the age of 79, in the nursing home at Ivy Bank, Queen’s Road, Taymount Rise in Forest Hill, 20 August 1939. What she did in those last thirty years, I have no idea, but she’d had twenty enjoyable if not exactly starry ones in the theatre.